A familiar style of upholstered dining chair. 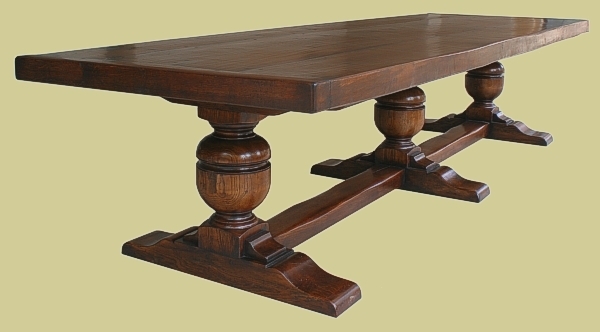 But the trouble with those that are available as stock items elsewhere, is that they're really too 'lightweight' for the heavy oak table, commissioned by our Monmouthshire client. So they asked us to bespoke make a similar modern style, but of 'heavier' stature, to suit the table. 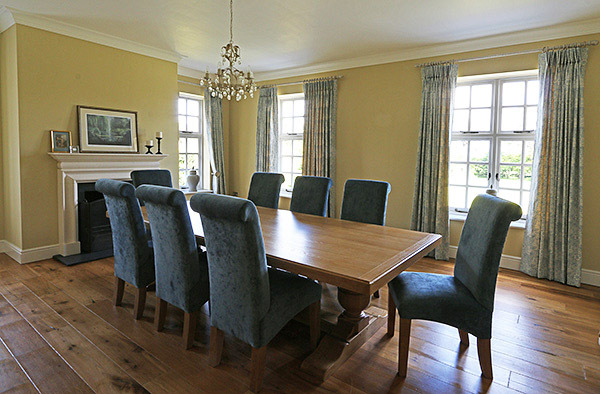 Both of which you can see here, in their country house dining room.